In Mumbai, you just CANNOT miss street shopping. Mumbai has the malls and the designers, but streets are where the heart truly lies. More than 50% of the Mumbaikars, shop at the streets and why not? Low price – YES, quality – sometimes, bargaining- ALWAYS. Go straight to a stall, don’t think, just start digging. 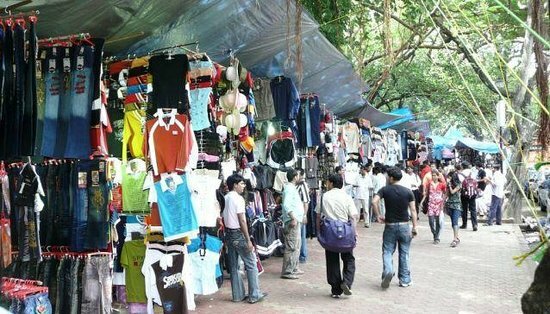 Let’s have a look at the Top Places for Street Shopping in Mumbai. 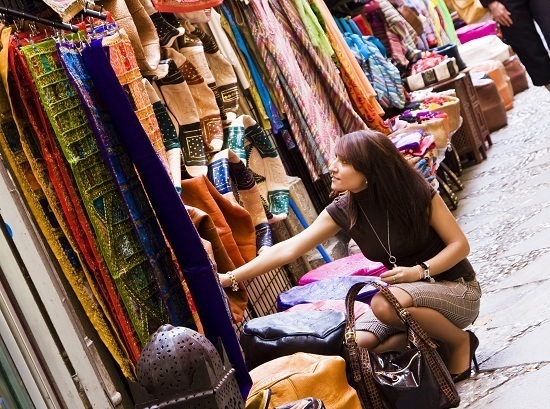 Being one of the biggest shopping lane, Linking Road has lots and lots to offer. Mostly for girls, sorry guys. Linking road has it all- jewelry, shoes, clothes, and bags. A definite visit for the tourists, Colaba has it all. You name it, they have it. Be it, jewelry, bracelets, neck pieces, bangles and key chains. Every damn thing in the world. Artifacts and antiques are a must see here. Frequented by college goers and teenagers, Fashion Street has the most affordable, trendy and funky clothes and accessories across Mumbai. Why should girls have all the Fun? Fashion Street is one of the few places that caters to men as well. 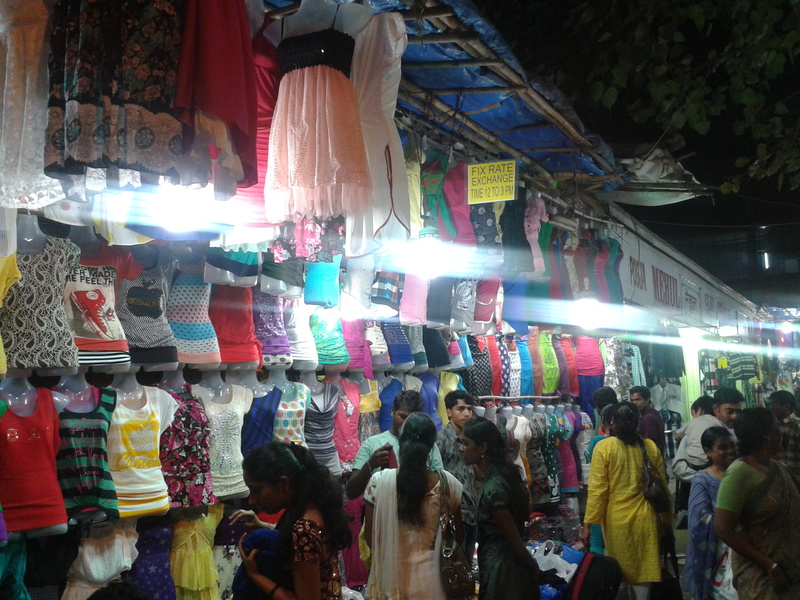 One of Mumbai’s hippest shopping streets, Hill Road is visited frequently by girls looking for trendy stuffs. And the varieties on offer make it one of the most popular street shopping places, popular among people ready to revamp their wardrobe. The Mecca of Shopping in Mumbai, Crawford is Mumbai’s most famous wholesale market. Spices, fruits, veggies, imported food items, just ask for it. Also, cosmetics, souvenirs and furniture. And there’s no harm in bargaining. This one’s for all your shopping needs. A walk by the lanes of Lokhandwala Market, you find a string of shops selling replicas of popular brands, footwear stalls, jewelry, household apparel, Lokhandwala has something for every shopper. One of the largest flea markets in India, At Chor Bazaar you find almost everything! Vintage collection, antiques, motor cycle parts, mobile phones and a never-ending list of stuffs at more than cheap prices. Light pocketed guys, this is your paradise. The shopping trio of south Bombay. To be honest, these places are filled with Marwadis at any time, any season, and why not? You do get a great range of clothing, accessories, imitation jewelry, cosmetics and what not! Irla market is ruled by the Alfa stores. They have as many as five Stores on the same road. Apart from Alfa Stores, there are also various street vendors selling almost everything, ranging from boys to girls’ apparels, but mostly stocked with girls’ clothes. 10. Outside EVERY Railway Station. Oh YEAH! Ask a person living in Dadar. The stalls adjoining the station make the place look like, a pond full of fishes. But why complain? They also enjoy the benefits, don’t they? Go Shop! And at these prices, revamp your wardrobe every 3 Months! Previous article10 Absolutely Horrible Things Friendly People Have To Deal With Everyday!